Eric is the author of four books, including "Green Building & Remodeling for Dummies", a bestseller with over 200,000 copies in print, and "Sustainable School Architecture." His latest, “Green$ense for your Home” won the 2011 Outstanding Book Award from the American Society of Journalists and Authors. 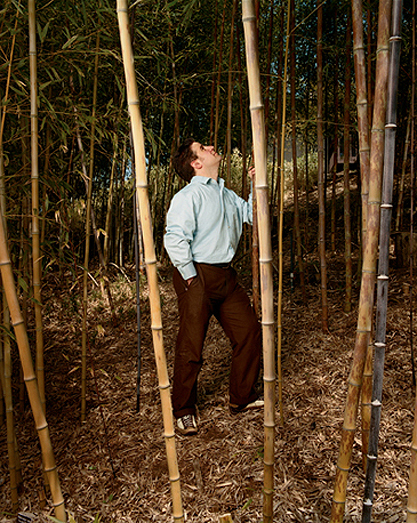 Eric is considered a leader in the field; named by San Francisco Magazine "Best Green Architect" in 2005; "Best Visionary" in 2007; and "Green Visionary" by 7x7 Magazine in 2008. In 2012, he was named one of the 25 "Best Green Architecture Firms" in the US, and one of the "Top 10 Most Influential Green Architects." Authored the bestselling book "Green Building & Remodeling for Dummies" with over 200,000 copies in print. Authored (with Kevin Daum), the bestselling book. Green$ense was the winner of the 2011 Outstanding Book Award from the American Society of Journalists and Authors. Thank you so much Eric for forwarding the slides and for the awesome presentation. People have been raving about it! Thanks Eric! You are a very gifted speaker, what an honor it was to have you speak at our event. We have had great feedback and I am seeing a lot of positive tweets out there singing your praises. We are victims of our own stupidity. Seemingly harmless decisions about our buildings made decades ago and now throwing all of our natural systems into decline. While every other technology has made vast improvements (cell phones, computers, automobiles), our buildings continue to be boring, energy-wasting and toxic. In this talk, you?ll tour bold, new ideas for transforming our cities and suburbs into regenerative and restorative places. By learning from Nature, we?ll uncover lessons to apply to our built environment that will save energy, water, resources and be healthier in the process. The Gulf Coast Oil Spill is the worst environmental disaster in history. This talk explores the tragedy of the spill, and how our own dependence on fossil fuels is really to blame and a plan for how to transform our cities and suburbs to eliminate this addiction for good. The design of our cities and suburbs is dictated by the automobile. From the width of the street, location of driveways, distance between buildings and the spacing of the structure, the automobile has irrevocably changed our cities from human scale to vehicle scale. This talk explores those connections. Through the lens of the 7 Deadly Sins, this lecture examines the root causes leading up to the oil spill, the forces driving these events and the maps out several poignant and humorous alternatives we need to develop. If the Car Culture represents the 20th Century, then we need to redefine our culture for the 21st. This "bullet-point free" talk is presented by the acclaimed author of "Green Building for Dummies." It was hailed by Apartment Therapy as "phenomenal" and "engaging, funny and super interesting." 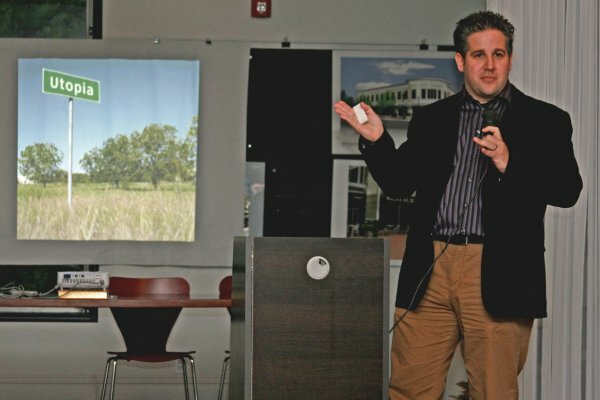 In this talk, green architect Eric Corey Freed walks you through his creative and bizarre world of sustainable design. Beginning with the events of the past year, you'll journey through the decline of the city of Detroit, building a net energy sustainable block in Dallas and the strange forces plotting against greening our country. Experience the rapid advancements in green building and discover the latest systems to save energy, water and resources. You will laugh, cry and never look at your world quite the same way again. 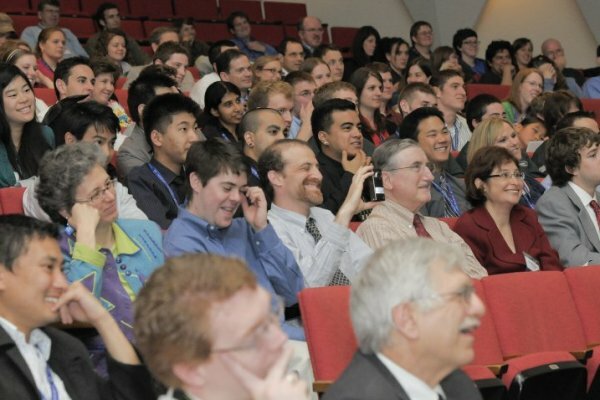 Part stand-up comedy, part Ph.D. lecture, this talk will present a side of the environment most never get to see. Drawn from the most advanced research, this talk uses rich graphics, multimedia and never before seen data to alter your view of green building. Presented by the acclaimed author of "Green Building & Remodeling for Dummies."